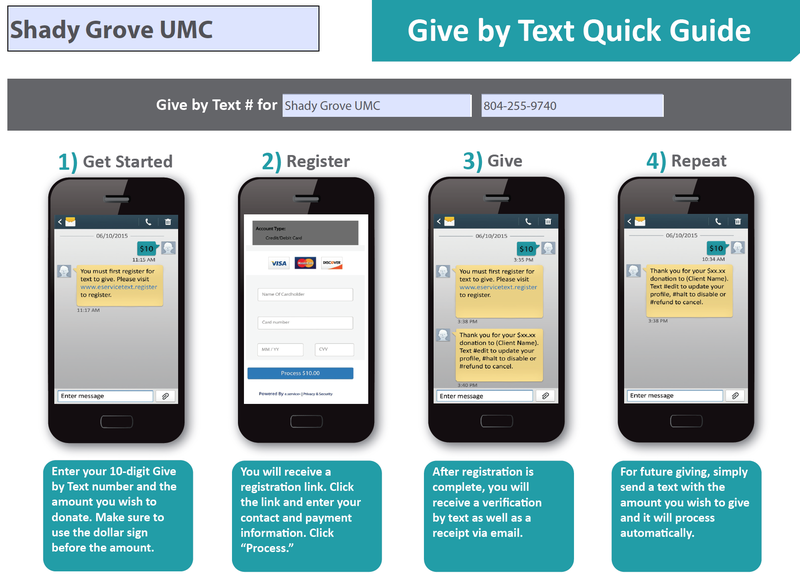 Shady Grove now offers giving by text! View the graphic below to get started. Click here for FAQs regarding giving by text.